A while back I wrote a blog stating that, while my own views on vaccines could be considered extreme (I had come to the conclusion that vaccines are not a good idea for anyone), I was very grateful for those whose concerns were much more lukewarm as long as they were willing to express them publicly. In that blog, I didn’t go into the reasons why I had come to that particular conclusion and expressly stated that it was my own opinion based upon years of reading the science behind the interaction of the immune system and injected vaccines. I always had it in the back of my mind to go into the thought processes that brought me to this conclusion, but somehow I never got around to it. When two very new peer-reviewed scientific papers on autoimmunity and vaccines came to my attention, however, I found myself feeling the need to provide at least the bare outlines of how I came to this opinion. The first thing to understand is how our bodies fight off infection, what we call the “immune system.” Our bodies have a number of ways of clearing itself of organisms that are potentially harmful. The first line of defense is the skin which keeps out the vast majority of pathogens that we encounter on a daily basis. When a pathogen gets past the skin by entering the lungs or digestive system through the nose or mouth, the body throws an obvious inflammatory response. This can be the production of mucous in the nose or lungs, the classic stuffy nose and cough. This is enough for a number of invaders, such as the rhinovirus which results in the classic cold. (Note that the symptoms of a cold that make us feel “sick” do not result from the virus itself, but from the immune system’s response to the invader.) For others, such as norovirus, one of the viruses behind “food poisoning,” the response is vomiting and diarrhea in order to more forcibly eject the virus from the body. And for others, like measles and chicken pox, fever and rashes are caused by the body’s attempts to rid itself of the virus. It’s very important that the immune system be capable of mounting these inflammatory defenses in order to keep the body intact and working well. When an infection happens, though, the immune system has another set of tools, an invisible chemical set, that also get to work in an attempt to neutralize the offending invaders. Generalized or “cell-mediated” chemical defenders jump in first. This includes cytokines, white blood cells, and macrophages. The last line of defense is the “humoral” defense, antigen-specific antibodies. Few of the pathogens we encounter would ever naturally stimulate antibody production because few get this far. I don’t know about you, but I was taught in high school biology that antibodies were like locks and keys. A specific antibody could “unlock” only one type of antigen. When the immune system figured out how to “unlock” a particular invader, it produced more and more “keys” that would kill off that invader completely. It turns out that that is a vast oversimplification of how antibodies work. There are five types of antibodies, and the different types accomplish different goals. There are antibodies that are designed to be more generalized defenders such as IgM, a type that babies are generally born being able to produce in low quantities. And there are antibodies that are designed to be more specific attackers, with the most specific being IgG antibodies. These are considered “high-affinity” antibodies, and the ability to produce this type of antibody develops slowly in children, not reaching mature levels until around the age of five. Even these antibodies are not the true “lock and key” that I was taught in high school, however. Everyone knows (or at least they should) that the idea behind vaccines is to stimulate production of antibodies against a particular disease or diseases. On the surface it’s a great idea: stimulate production of antibodies that “unlock” the disease even before the body can mount an inflammatory response that makes you feel “sick.” Then you don’t have to get sick! It all began with the smallpox vaccine, which was used before anyone knew what viruses or antibodies were. 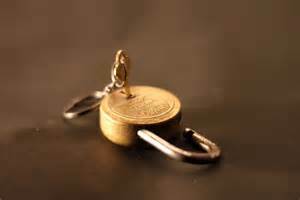 The interesting thing about the smallpox vaccine is, it is itself an illustration of how oversimplified the lock and key idea is. The smallpox vaccine was made from cowpox, not smallpox, because Edward Jenner noticed that milkmaids who had had cowpox appeared to be immune to the much deadlier smallpox. Therefore, the antibodies that are stimulated by the vaccine are actually antibodies that are designed to work against cowpox, not smallpox. The conclusion Jenner made from his “anecdotal” observations was that the immune response to cowpox “inoculated” recipients against smallpox. It seemed to work. Many people who received the smallpox vaccine were able to successfully fight off smallpox when later exposed to the disease. Of course, a small number of those who received the vaccine had horrible reactions to it, including Marcella Gruelle, the inspiration behind the original Raggedy Ann doll who died after a smallpox vaccination, which is why the vaccine is no longer routinely administered. As smallpox is no longer circulating in the general population, the risks of vaccination obviously outweigh any potential benefit for the average person. “The Cutter Incident” perfectly illustrates what was originally thought to be the major safety drawback of vaccines, particularly “live” vaccines, the potential to make a well person sick by infecting them with the disease itself. In the first mass polio vaccination campaign, April of 1955, 200,000 children were given the supposedly “inactivated” or “killed” Salk poliovirus vaccine, and 40,000 of them came down with polio, paralyzing 200 of them and killing 10. 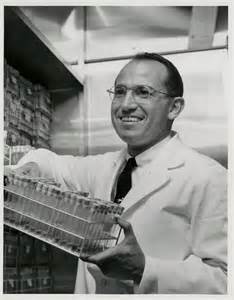 It was later found that Cutter Laboratories had found it very difficult to follow Salk’s procedures for “killing” the virus, and one-third of the vials of vaccine they produced actually contained live poliovirus. (See The Virus and the Vaccine, by Debbie Bookchin and Jim Schumacher.) Obviously, the planned campaign to vaccinate millions of schoolchildren was cancelled, a major setback in vaccine history. One of the goals of vaccine research since then has been to “safely” stimulate antibody production without stimulating the acute inflammatory immune response we call “sickness” associated with the particular disease. This has been accomplished to varying degrees. Usually the safer a vaccine is, the less effective it is. The huge variability in vaccine response means that every vaccine has to be designed with the trade-off of safety vs. efficacy in mind. For a vaccine to be effective for most of the population, it almost always has to be unsafe for a small segment of the population. This is the “unavoidably unsafe” aspect of vaccines that is considered a regrettable, but acceptable, cost of doing business by the federal government. It is also why you see warnings to immunocompromised people to avoid those who have recently been vaccinated with live-virus vaccines, which are known to shed, potentially causing illness in people whose immune systems function at the low end of the curve. It turns out that induction of the particular disease associated with the vaccine is by no means the only safety concern for vaccines, however. That same polio vaccine was made “safer” and eventually administered to 98 million Americans. 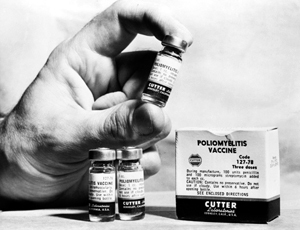 When making the vaccine it was assumed that the procedures that inactivated the poliovirus would also inactivate any other viruses that could have inadvertently found their way into the vaccine. That turned out not to be the case. The vaccine was grown on monkey kidneys, kidneys that frequently carried a virus (now called SV-40) that was harmless to monkeys, but has since been shown to stimulate tumor production (i.e., cancer) in human beings. This virus was not inactivated during vaccine production, and approximately one-third of the 98 million people who were vaccinated with it were probably exposed to SV-40. All vaccine pathogens have to be grown in a laboratory in order to produce vaccines. There are various growth media that have been used to produce different vaccines over the years, including monkey kidneys for the Salk and Sabin polio vaccines, chicken eggs for some flu vaccines, fetal bovine (cow) serum for measles, mumps, and rubella, and human diploid cells (from cell lines derived from aborted fetuses) for chicken pox. Every growth medium has drawbacks, the largest drawback being that some of the growth medium will end up in the vaccine. This could be considered a “contaminant” because it does not fulfill any purpose for which the vaccine is intended; however, these “contaminants” are generally considered expected side effects of the production process by their manufacturers. Dr. Alexander Wood invented the hypodermic needle back in 1853. With refinement it seemed the ideal delivery device for vaccines, among other things, but with its use an altogether different concern quickly became apparent. 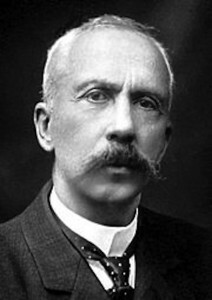 Charles Richet won the 1913 Nobel Prize in medicine “in recognition of his work on anaphylaxis.” In his Nobel lecture, Richet described in detail how the initial injection of a substance can “sensitize” the individual to that substance. He noted that, on the second or later exposure, a number of people developed an immunological response to that substance which he called “anaphylaxis.” Anaphylaxis is an overwhelming systemic allergic reaction that frequently kills if it is not interrupted by a shot of epinephrine. 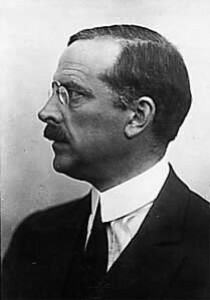 Interestingly, anaphylaxis was also described by Clemens von Pirquet andBela Schick who were studying the phenomenon known as “serum sickness,” an illness induced in about 10% of subjects injected with horse “serum” that contained diphtheria antitoxin, the first vaccine for diphtheria. Von Pirquet and Schick themselves coined the word “allergy” in 1906 to describe the immunological reaction they were seeing. One of the important components of their work is the idea that allergy does not represent immune dysfunction. In fact, allergy represented an expected phenomenon when the immune system has done exactly what it was designed to do: protect against “foreign” invasion. Anaphylaxis used to be a rare phenomenon, most often associated with bee stings and shellfish, but with an at-least-tenfold increase in recent years in the number of children with life-threatening food allergies, anaphylaxis is now commonplace – as is the image of EpiPen-toting schoolchildren. It is well known that immune response varies significantly from individual to individual. For any vaccine, there will be those who develop high titers of antibodies in response to the antigen and there will be those who develop no antibodies to the antigen, with the majority of the population ideally falling between those two poles. Immunology uses the amount of antibody present in serum (blood) as a measure of immunity. If you do not wish to receive a booster shot for a particular vaccine, you can often have your titers measured. If you can be shown to have high levels of circulating antibodies to the particular disease in question, you are considered immune to the disease. However, this is a very crude measure, and it is known that people who do not have circulating antibodies can, in fact, be immune, while those with high titers can still come down with a particular disease. Clearly, antibody levels in the blood do not necessarily correspond with actual immunity to a particular disease. So what happens to those individuals whose bodies produce high numbers of antibodies when injected by a vaccine? 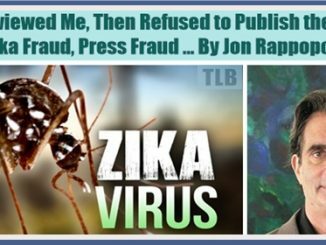 They may produce antibodies against any of the ingredients in the vaccine – in high numbers. We call the production of antibodies that waste the body’s energy fighting against harmless invaders “allergy.” And a tendency toward allergy is called “atopy.” (How many people do you know who have more than one allergy? I started with cats as a preteen, then added dogs, horses, wool, dust, molds, and pollen – and I’m sure that’s not an exhaustive list. I, like many others, clearly have a “tendency to allergy.”) This tendency toward allergy can be, and is, known to be induced by vaccination. It was, in fact, long ago, recognized as a side effect of vaccination and was another trade-off that needed to be considered. As I noted before, some of the vaccine antigen growth medium will make its way into the finished vaccine you receive in your doctor’s office as an expected side effect of the manufacturing process. That means that a certain percentage of individuals, those with the most reactive immune systems (presumably those who would be most likely to survive an epidemic of an infectious disease), will develop allergies to those ingredients, such as chicken egg or bovine serum. Now what if the vaccine ingredients include substances that already exist in the body, like the squalene or human diploid cells I mentioned earlier? Antibodies that are created to attack squalene will seek it in the body. Squalene tends to be concentrated in the joints, so someone with a highly reactive immune system may find him or herself suddenly developing an autoimmune condition after receipt of a squalene-containing vaccine whereby antibodies attack the body itself, inflaming joints and creating a condition that looks a lot like rheumatoid arthritis. This is not the only possible way to produce an autoimmune reaction through the mechanism of injected vaccines, however. Remember that lock and key concept I mentioned earlier and how it was a way oversimplification of the action of vaccines? It really is. There is a concept that is also well-known within the scientific community, and next-to-unknown outside of it, called “cross-reactivity.” The idea is this: an antibody created against a specific antigen is not really specific to that antigen. It is specific to a feature of that antigen and will bind to any substance that also has that feature — a feature that may be present in a number of other kinds of substances, some of which may be contained within the human body. For instance, Lucija Tomljenovic PhD reported that she tested HPV-specific antibodies and found they also bound to human brain tissue. In the absence of HPV in the body, the stimulated antibodies (an amount approximately three times higher than that stimulated by an actual HPV infection) are going to bind to whatever they can find, in this case it’s human brain tissue. This was confirmed by an international team of scientists from Israel, Canada, and Colombia, and reported in a study whose uncorrected proofs in the journal Vaccine just became available wherein anti-HPV antibodies cross-reacted with mouse brain tissue which may account for significant behavioral changes in the mice who received the vaccine. The implications of this are enormous. The very antibodies that we are trying to produce when we inject someone with a vaccine may in fact be causing the body to turn on itself in any one or more of a myriad unintended ways, and those whose bodies respond the most vigorously to the vaccine, creating the highest concentration of antibodies, are those who will sustain the most damage in the form of autoimmune conditions. This could be why most of the young women and girls who have experienced devastating illnesses post-Gardasil vaccination were highly athletic. Autoimmune diseases generally develop slowly and only become apparent when antibody levels are high for sustained periods of time. Like allergy, virtually all autoimmune conditions are on the rise, and one thing that is not generally known is that once you have one autoimmune condition, your chances of developing another increase enormously. Apparently there is a tendency to autoimmunity, just like a tendency to allergy. I myself have had eczema, asthma, Raynaud’s phenomenon, Stevens-Johnson syndrome, rheumatoid arthritis, and with finding it more difficult lately to keep my iron levels up, I’m now wondering about pernicious anemia. Are you starting to get a sense as to why I research this stuff? From what I’ve said here you might think that I’m either a hypochondriac or a particularly sickly individual. Neither is true. All the research I do has enabled me to remain a relatively healthy individual despite my apparent tendencies. Autoimmunity is clearly related to allergy as eczema, asthma, and Stevens-Johnson are all frequently triggered by allergens. I’ve previously discussed the closest thing I’ve ever seen to a large scale vaccinated vs. unvaccinated study, Vaccination and Allergic Disease: A Birth Cohort Study. The study was performed in the U.K., where researchers used data for just under 30,000 children and found a huge statistically significant correlation between vaccination and rates of asthma (relative risk = 14), and eczema (relative risk = 9.4) that the study authors completely dismissed on the flimsiest of grounds. They said the correlation only held true for the children who had the fewest doctor visits. Rather than making the logical conclusion that it’s likely that most of the children who were not vaccinated were far healthier than their vaccinated counterparts and that’s why there were fewer doctor visits, they made the ridiculous assumption that asthma and eczema occurred just as often in the non-vaccinated population, but that parents weren’t taking those children to the doctor. In other words, they assumed that lots of parents who didn’t vaccinate were watching their children gasp for breath without ever thinking, Do you think we should go to the doctor? in a country with socialized medicine! If that strikes you as logical and sufficient justification to completely dismiss huge correlations, then perhaps you have what it takes to be a CDC or tobacco-company epidemiologist. Given my obvious interest in autoimmunity, I take note when I see studies on the topic. There are countless studies implicating one or more vaccines in the onset of particular autoimmune conditions. I’m just going to summarize a few of them. A very recent study in the journal Immunobiology makes the claim that multiple sclerosis (MS) is caused by nasal pertussis colonization in individuals who have received pertussis vaccines. This particular study was produced by scientists with a clear conflict of interest as they are working on a competing pertussis vaccine, so despite what seems like fairly compelling epidemiological evidence, I would advise caution about taking it at face value. Again, this implies that the development of autoimmunity is a natural, expected consequence of repeated overstimulation of a functioning immune system by vaccination, not a bizarre and unexplainable response that a few people with severely dsyfunctional immune systems may experience. The veterinary community as a whole has been much more interested in the possible ramifications of vaccine-induced autoimmunity than the human medical community, perhaps in part because epigenetic changes are intensified with every new generation and cats and dogs grow up and reproduce far more quickly than humans, making it possible to see several generations in a cat or dog family in the timeframe of a single human generation. In addition, many veterinarians routinely vaccinate their patients on a yearly basis. If repeated vaccination were to have a deleterious effect, such frequent vaccination may make any negative effects appear more obvious. 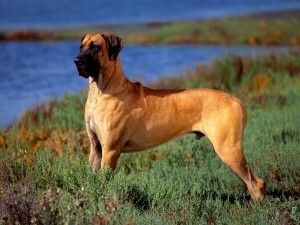 Genetic heterogeneity within breeds may also be a factor that adds clarity. Scientists from Perdue University’s School of Veterinary Medicine studied the presence of autoantibodies in the blood of Beagles and Great Danes. They found some very intriguing results. Intriguing as well to me is that these Perdue studies appear to be unpublished and have even dropped off the Perdue University website. It’s very unusual for a university to simply delete their scientists’ research without comment. Such odd situations, where information that had been readily available online and no longer is, always pique my interest. I become intensely curious as to exactly who wanted to make sure the information was no longer available and why they didn’t want it available. I think much of the damage done by vaccines falls into the category of “unintended consequences.” I truly do not believe that most people working on these products believe that they are capable of doing the damage they so often do because they are myopically viewing the situation through a narrow lens. However, it is clear that at least parts of the medical community, even some who are actively developing vaccines, are well aware of some of these issues as this ability to stimulate antibodies that attack a substance expected in a healthy human body is exactly what is exploited in experimental vaccines designed to prevent pregnancy. These vaccines contain human chorionic gonadotropin (hCG), known as the pregnancy hormone, linked to tetanus toxoid. HCG is what you’re detecting if you buy a home pregnancy test and “pee on a stick.” The hCG-laced tetanus vaccines stimulate anti-hCG antibodies which attack the hCG when the recipient becomes pregnant and prevent the pregnancy from continuing. Vaccine recipients whose immune systems do not mount quite such a vigorous response will be far less likely to see an obvious illness soon after vaccination. However, that does not mean that they will never experience negative consequences. With repeated hyperstimulation, most immune systems will eventually sustain damage (and, as we know that the immune system is directly connected to the neurological system, the neurological system will also sustain damage), though it may be years before the damage is apparent. And it seems intuitively obvious that any antibodies that attack body tissue are going to have an overall negative effect on health, not least of which would be chronic low-level inflammation which has been linked to most of the top 10 killers. Shockingly enough, as we have vastly increased the number and frequency of vaccines given, and accelerated their administration (“every child by two”), we are seeing a concomitant rise in allergic and autoimmune disease, neurological dysfunction, and other conditions marked by inflammation, including autism. When I was on The Nightly Show last January, Larry Wilmore asked me if I would use a vaccine that was developed to counter autism. My answer was a flat no, which rather shocked the panel and the audience – though they did decide that I had “kept it 100” by being honest. I was honest all right. What I didn’t get to say is that I know too much about the mechanism of vaccines and autism to ever consider it. Logically speaking, a product that is designed to induce a long-term inflammatory neuroimmune response cannot, by design, prevent neuroimmune conditions characterized by such chronic inflammation. What happens to the individuals who produce no antibodies as a result of vaccination – the immunocompromised that we hear so much about? One possibility was described in a recent blog we ran by a mother whose daughter had a genetic primary immune deficiency and was severely harmed by the vaccines she did get. Her daughter’s immune system was overwhelmed by the challenge the vaccines presented. That mother understands that it’s neither moral nor ethical for her to expect anyone else to sacrifice their child’s immune system because her child started out with a deficient immune system that was further damaged by vaccines. Is the Practice of Vaccination Justifiable? I believe that it’s clear that the practice of vaccination inevitably comes with a host of unintended consequences that include profound and often permanent immune and neurological system dysfunction in at least a large subset of people who receive them. Therefore, it cannot be ethical or moral to mandate any vaccine. I can imagine a scenario where one might find likely immune system dysfunction to be a price worth paying to avoid infection by a particularly virulent pathogen that one is very likely to encounter – a truly deadly epidemic like the one depicted in the film Contagion, for example. However, industrialized countries are faced with no such epidemics, and our practice of prophylactically loading every individual with high levels of antibodies against any possible invader is simply dangerous. In an industrialized country where approximately half the child population suffers from chronic illness, it cannot be justifiable to permanently sacrifice a child’s immune and neurological systems in order to ward off measles, mumps, rotavirus, chicken pox, or the flu, which are all relatively easy for those who have working immune systems to fight off. Neither could I justify potentially sacrificing immune systems on the first day of life in order to ward off hepatitis B, a blood-borne illness transmitted mostly through sexual activity and dirty needles that fewer than 1 in 50,000 young children would have encountered even before the vaccine was licensed. And I certainly cannot justify the risk of catastrophic immune damage that Gardasil has induced in many young girls and women in order to avoid HPV infection, when even mainstream estimates of the effect of vaccinating and revaccinating most young women in the United States over approximately 60 years with HPV vaccines imply that it could only save about 1,300 of the 24,000 projected number of lives lost to cervical cancer in that time period. That’s a mere 0.5%. Now, before the vaccine could be shown to have saved a single life (the median age for a cervical cancer diagnosis is 49), it has already destroyed more young girls’ lives than it could possibly be expected to save. As I mentioned at the top of this blog, this article is just a bare bones outline of the possible unintended negative consequences of the practice of vaccination – the tip of the proverbial iceberg. There is so, so much more when you actually go looking. I believe that it will soon become clear to the world that vaccination is a wrong-headed approach to the problem of infectious disease that arose due to what Martha Herbert calls the “exquisite precision” of our science, which “is usually achieved by ignoring context and all the variation outside of our narrow focus, even though biological systems in particular are intrinsically variable and complex rather than uniform and simple.” This narrow focus enables us to see things in sharp detail, but in so doing we frequently lose sight of the big picture and incur error – sometimes monumental error. In our efforts to stimulate high levels of antibodies against a host of specific antigens, we have completely lost sight of its effect on the body/mind as a whole. It’s time to correct our error. Vaccine Epidemic: How Corporate Greed, Biased Science, and Coercive Government Threaten Our Human Rights, Our Health, and Our Children, edited by Louise Kuo Habakus, M.A. and Mary Holland, J.D. Former MI5 Spy Says Paris Terror Attacks Were ‘Inside Job’ !! 1990 MERC changed MMR, tripled mumps component and started using fetal stem cells. Autism rose too, graphs show. I believe there is some was to reverse autism. So many of them present the same, beautiful genetically perfect children who cannot use their brains. Vaccines are like the witches oven in Hansel & Gretel, the Witch is a hybrid of pediatricians/pharmaceuticals/CDC. Autistic children are the statues of children frozen in time surrounding the witch’s gingerbread house. We need some brave ‘babe in the woods’ to break the spell and set the children free. I believe in my life time this will happen. A set of circumstances that appear evil to the outside world, (ie abandoning children in a forest), will set into motion the discovery. Thank-you for writing this article it helps.